Pool Operating Equipment usage is on the increase now Summer is almost upon us. Most pools here on the Sunshine Coast are now warm enough for swimming again, and so many pool owners are discovering that their existing pool operating equipment may not be up to the job. All pool equipment must be serviceable and operating sufficiently in your pool. This will not only ensure water quality is maintained for safe and healthy swimming, but also provides protection to pool surfacing, plumbing and the pool equipment itself. If items of pool operating equipment such as pumps, chlorinators, filters, pool cleaning and further optional accessories are not performing properly, this will almost certainly lead to an expensive clean up. The savings in pool chemicals and energy costs that quality pool operating equipment, and a well maintained pool, will deliver can be huge. A poorly maintained pool with insufficient equipment will end up costing you more. Faults in pool equipment will increase operating expenses and cause further damage to pool equipment. Identifying these faults is key to rectifying such issues. Quality pool equipment with correct installation is vital and choosing from the various pool equipment available is discussed in our previous news article titled Pool Equipment Choice. A quality pool pump performing efficiently is an obvious requirement for a healthy pool. A pool pump provides the circulation of water throughout a pool and sufficient flow rates for filtering and sanitising of pool water. If a pump is not working properly then neither will any of the other pool equipment and this can also be said for an incorrectly installed, sized or type of pool pump. Common pump problems, causes and solutions – Pumps that will not self-prime will quickly burn out and potentially damage other operating equipment. Allowing a pump to operate while dry will almost certainly cause major pump damage. A poor prime can be caused by a number of things, more common causes being strainer and skimmer baskets being full of litter; low water levels in pools; cracked pump lids or perished lid O-Ring; cracked or leaks suction plumbing; faulty pump seals; leaks in filters, cells or pipework; clogged impellers or other pump faults. Mechanical seals are a wearing part in pumps and should be replaced at the first sign of leaking, failure to do so will continue to cause further damage to the pump. Pumps that will not start up or only make a buzzing sound are likely to have an electrical or motor fault present that requires repairs, however it may have litter or debris jamming the pump impeller, allowing simple removal to rectify the fault. A pump that has an increased noise or rattling sound is usually indicative of worn out bearings or other parts and without repairs will almost certainly fail in the near future. Repairs to pumps can be expensive, largely due to the labour often required, and so deciding to write off a pump and replacing with a new pump is sometimes more viable. Provided a suitable quality pump (with warranties) is installed, the performance and economy delivered, usually makes this option a very easy decision. Quality Variable or Eco pumps offer the most features and savings in energy costs, such as the Onga Eco800 below. Salt water chlorinators provide sanitiser for the pool water which protects against harmful bacteria and algae formation and without sufficient performance a pool will quickly turn green and can cause further damage to pool equipment and surfacing. Common chlorinator faults, causes and solutions – Often when a pool turns green it can be attributed to the chlorinator and cell not producing enough chlorine, though poor performing filters or blocked strainer baskets are also a common cause. 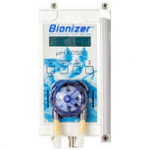 After eliminating other possible causes including water balance or a low salt presence, closer inspection and testing of the chlorinator box and cell may be required. Chlorinator cell plates will perish overtime and a chlorinator fault light or restricted chlorine production is usually a good indication that replacement is required. In poorly maintained pools a cell will perish much sooner and when no shelter for pool operating equipment is provided, damage to a chlorinator box is far more likely. While there can be many different reasons for a chlorinating fault, it must be said that unit faults are most often only prevalent in the lesser known brands and those not recommended by pool professionals. Choose a recommended and trusted brand of salt water chlorinator, such as the new gold series KChlor Digital (pictured below) when purchasing a new chlorinator, and have it professionally installed. To achieve and maintain healthy and balanced pool water, the pool’s filter needs to be cleaned and serviced regularly. A filter should be sized correctly not only to the swimming pool and existing equipment, but also the expected bather load or other functional requirements. Backwash and rinse are vital cycles required for cleaning sand or media filters, while regular manual cleaning of a cartridges is needed in cartridge filter applications. Pools with poor performing or dirty filters can turn a pool green, and potentially cause further damage to operating equipment or pool surfaces. Common filter problems, causes and solutions – We regularly encounter new jobs where filters are in poor condition due to lack of maintenance or insufficient filter cleaning. The regularity of filter cleaning will depend on many factors contributing to the collection of litter and contaminants trapped by filter media or cartridges. These unwanted particles need to be removed from filters to allow filtering to continue and ensure flow rates are not restricted. When evidence that flow rates continue to be restricted, then this is a good indication that the filter sand (media) requires replacement. Replacing filter media or sand on aged filters can be a risky exercise and full filter replacement is most times the smarter option. Installing glass filter media as opposed to the cheaper silica sand also makes more sense as this option doesn’t usually require media replacement. Many factor’s determining replacement options are always present, and the condition of filter components, serviceability and repair parts & labour often play the major roles. The Waste cycle/function/valve for a filter is a common area where water loss can occur, and if the service valve or multiport valve is faulty then water may be escaping from the pool. Identify the fault or leak, replacing gaskets and o-rings if required, before continuing pool operation. While cleaning and regular maintenance are essential, they can become excessive and an undersized or poor quality filter will certainly ensure this, as well as sending any pool cleaner mad. Ensuring that a quality filter best suited to entire application is professionally installed and regularly serviced will provide longevity. All pool operating equipment including automatic pool cleaners, auto-dosing units, chlorinators, pumps, filters, bionisers, sanitizing equipment, pH control units, solar pumps and systems, pool features, other operating equipment and plumbing need to work in conjunction with each other at suitable performance levels to deliver the most savings and achieve a sparkling, healthy pool. 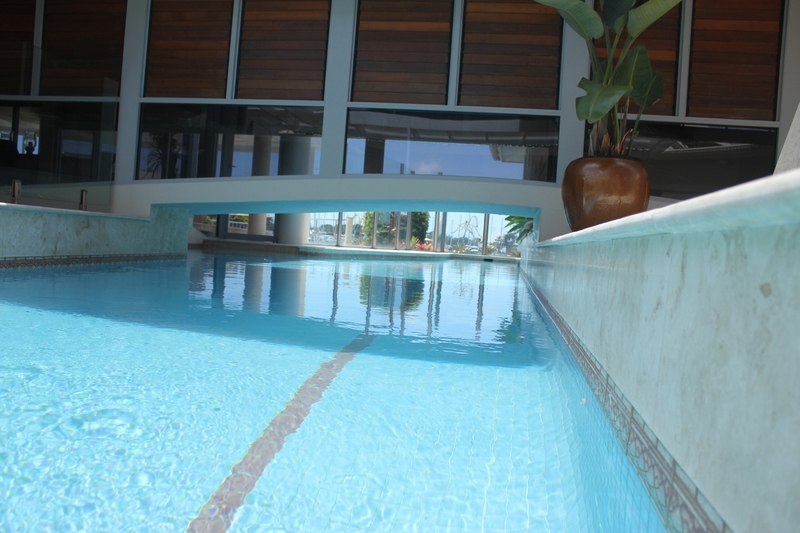 A common theme throughout our website blogs is Quality and Regular Pool Maintenance. We see first hand the results of inferior pool products, poor installations and the effects of poor maintenance regimes. The amount of savings that can be made by pool owner’s by ensuring quality and servicing is not compromised, easily runs into the thousands. As is the case for most industry and products across the world you generally get what you pay for, and cheap versions of pool equipment typically proves this theory by reduced performance, efficiency and operating lifetimes. Below are some more examples of pool equipment we can recommend.